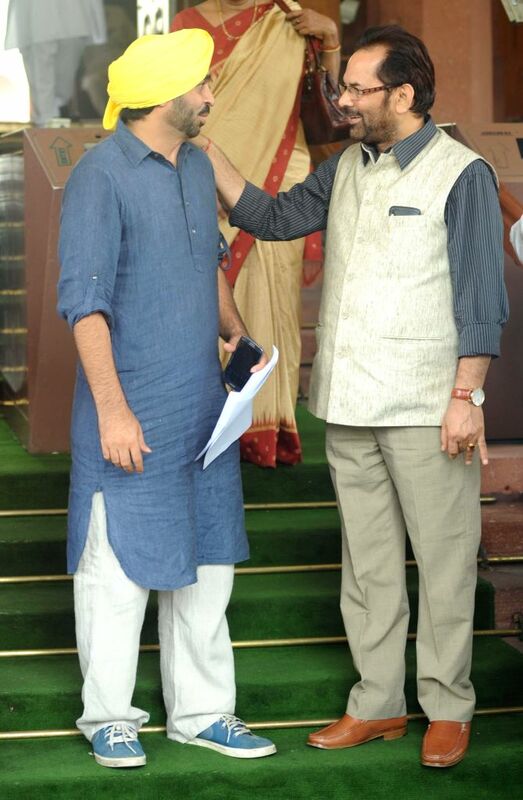 Aam Aadmi Party (AAP) MP from Sangrur, Bhagwant Mann with BJP MP Mukhtar Abbas Naqvi at the Parliament on Aug 5, 2014. 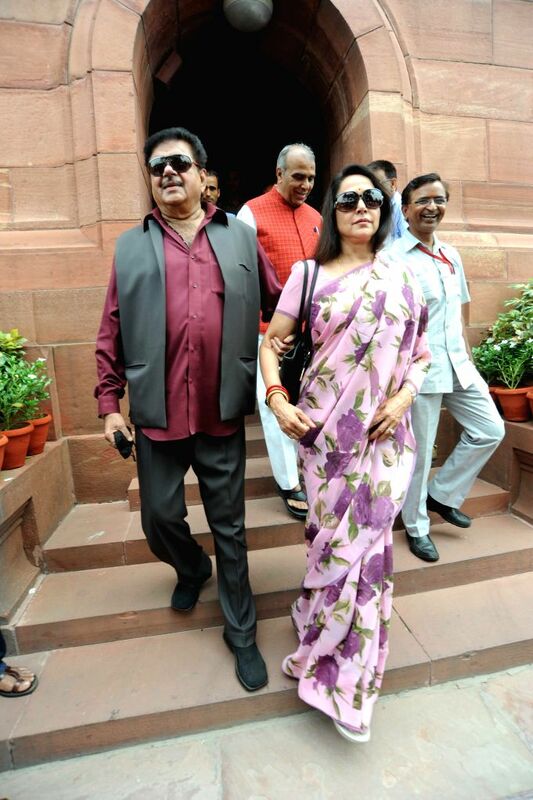 Actor turned politician and BJP MP from Patna Sahib Shatrughan Sinha and BJP MP from Mathura, actress Hema Malini at the Parliament on Aug 5, 2014. 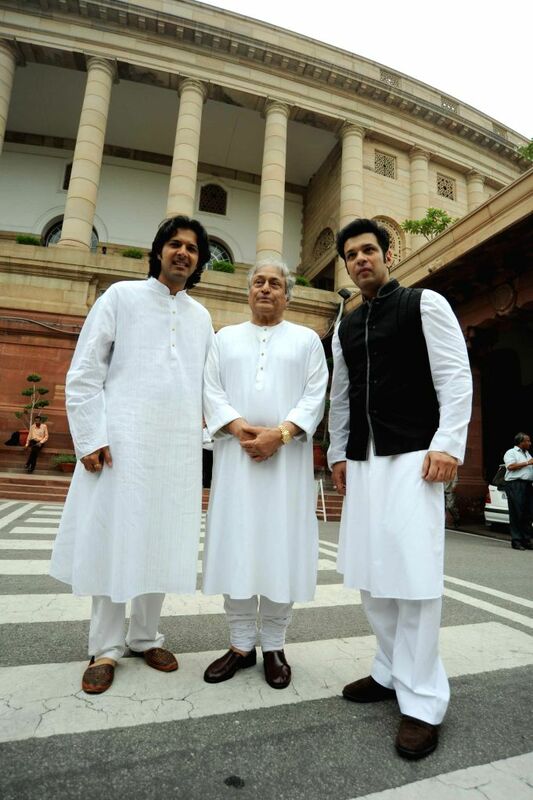 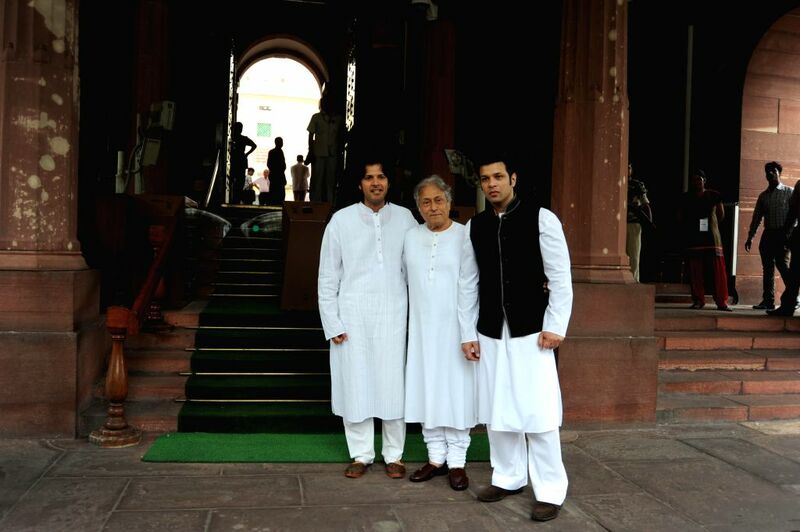 Sarod maestro Ustad Amjad Ali Khan with his sons Amaan Ali Khan and Ayaan Ali Khan at the Parliament on Aug 5, 2014. 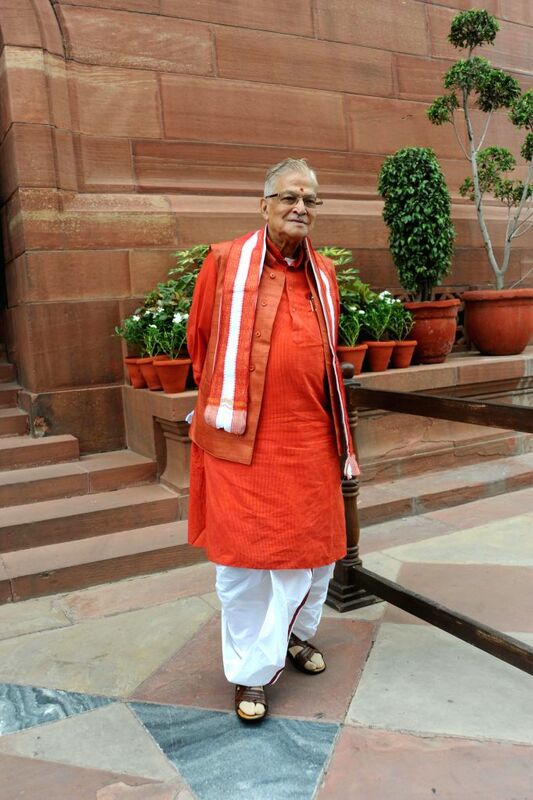 BJP leader and Kanpur MP Murli Manohar Joshi at the Parliament on Aug 5, 2014.